WhiskyIntelligence.com » 2014 » April - whisky industry press releases, newsletters, events, tasting notes, bottlings and comments. The state of Kentucky, known for their love of Bourbon and horses, are gearing up for their annual Kentucky Derby, Saturday May 3rd. Get your bottle and recipe today! The last couple of months have been a blur. So many great tastings in just the first four months alone: Ancient Malts with the Glendronach Recherche 1968, the Great Macallan Vertical Featuring ‘M’, the Compass Box Dinner at Buchanan’s and Irish Whiskey Renaissance, to name just a few. I’ve also been able to be a part of three World class whisky festivals: the MS Calgary Whisky Festival, the Victoria Whisky Festival and the Nth 2014 in Las Vegas. Time is flying, and it has been difficult to find enough to pull off a full Malt Messenger, but at long last it”s finally done, and I know you’re going to love it! I’m going to keep the intro short and sweet this time around, in part, because there is so much to fill you in on: new exclusive whiskies, new exclusive casks, a preview of Spring whisky releases and tasting notes… lots of tasting notes. Speaking of tastings, our Spring Single Malt Festival has sold out, but don’t despair, there are lots of other great tastings scheduled now through to the end of June. You can check them all out here Spring Tasting Schedule. On the whisky front our new Duncan Taylor Octaves are here! We have two superb casks of Deanston 1994 and Mortlach 1995 with which to tempt you. My tastings notes on both of these heavenly drams can be found below. Feel free to drop in to KWM to give them a tastes. We also have a new range of whiskies in from Hepburn’s Choice, a new label from Hunter Laing & Co., and the lastest release of Glendronach Vintages, Batch 9 is nearly here. Get ready to drool, the 59th full edition of the Malt Messenger is a monster. As always I hope this whisky news finds you well! 7. Spring 2014 Preview – Coming Soon! Our 1994 Deanston and 1995 Mortlach Casks Are Here! This January the guest of honour at our 8th Annual Robbie Burns Supper was Peter Currie of Duncan Taylor. Duncan Taylor is one of Scotland’s most respected and prolific independent bottlers, with one of the largest private collections of rare and old whiskies in the world. Peter was here to showcase his brands, in particular two curiously small casks selected by and bottled exclusively for Kensington Wine Market. Duncan Taylor has pioneered the use of bespoke 80L sherry casks for the finishing of their whiskies. The small casks offer much greater surface exposure for the whisky and therefore super charge the maturation of the spirit. KWM selected two of these small “Octave” casks to be bottled exclusively for our store. A range of 10 barrel samples were tasted, and whittled down to three favourites. Two of these were from a Highland distillery just north of Stirling called Deanston. The third was from a well respected Speyside distillery, Mortlach, who’s whisky until recently, primarily was used for blending. In the end we decided to bottle one of the Deanstons, both of which were distilled in 1994, and the 1995 Mortlach. Both of the whiskies are stunning, though I must confess both Hunter and I have a slight preference for the Deanston. The Mortlach is very well priced, especially when you consider the new official releases being rolled out by the distillery. These have not yet found their way to Canada, but the 500ml offerings of 18 Year at CAD $340 and the 25 Year at over CAD$1100.00. Our 18 year doesn’t come in as fancy a decanter as the Diageo release, but at cask strength in a full bottle it is almost exactly half the price! Think an 80L Octave sounds small? Its got nothing on Glenora Distillery of Cape Breton’s 5L 1995 vintage Glen Breton casks. A customer was kind enough to let Hunter and I sample one of these last week, and frankly, we were both blown away. Glen Breton single malt has been improving in quality over the years, with both the Battle of the Glens and the Glen Breton 14 year having shown well; considerably better than past releases of the 10 year old. For some reason the distillery decided to fill the contents of one of its older casks, a 1995 vintage, into 25 5L mini casks. Whaterver the reason we’re thrilled that they did. A customer offered Hunter and I taste of the whisky last week and we were blown away, it was far better than I expected. What’s next, is up to the cask! The whisky will continue to mature in this small barrel, and at a frenetic rate. When I started selling whisky more than a decade ago, there were three prominent independent bottlers in the Alberta market, Gordon & MacPhail, Murray McDavid and Douglas Laing. Douglas Laing was owned by brothers Fred and Stewart Laing, and was named for the firms founder, their father. The firm split in two in 2013, with the two brothers going their separate ways. Fred kept the Douglas Laing trade name, and Stewart started Hunter Laing. Hunter Laing is still bottling three of the old firms signature brands, Old Malt Cask, Old & Rare and Douglas of Drumlanrig, but they have some new brands as well, First Editions, which I’ve previously introduced, and now Hepburn’s Choice. Hepburn’s Choice is a new line of whiskies named for Stewart’s maternal grandfather. William Hepburn was a globe trotting British diplomat who apparently had a fine appreciation for Scotch whisky. The whiskies are all un-chill filtered, bottled at 46% without added colouring. The General is far from the only interesting Compass Box whisky to come in to the market this year. We also had two very interesting experimental batches of Great King Street, one lightly sherried and the other lightly peated. They were released to give the public a chance to help Compass Box select a second blend to compliment the original Great King Street. Frankly, I think they should do both! There is also the Peat Monster 10th Anniversary, a KWM exclusive in Canada! It was ranked #9 in Whisky Advocate Top 10 Spring Releases. They scored it at 92pts. Compass Box has been on a bit of roll lately, and its time they stole some of the limelight in the Malt Messenger. 6. Compass Box The General – 53.4% – 1678 Bottles Released – A marriage of two whiskies blended and matured separately, one 33 years of age and the other 40. – My Tasting Note: “Nose: tropical fruits right off the bat, crisp spices, brown sugar and brandy soaked cherries with soft leather, damp tobacco and medium dark chocolate shavings; classic older sherried whisky notes with some candied fruits and Christmas cake; Palate: intensely spicy and fruity, once again exhibiting some of the classic characteristics of a fine, older, sherry cask whisky; more candied fruit as well as more delicate tropical fruit notes; spices emerge with clove, licorice, fennel and espresso beans; Finish: long, smooth and rich with fading tropical fruits, spices and chocolate. – $259.99 – ! !SOLD OUT!! The Glendronach vintage releases are some of our hottest selling items, and it is no wonder why, the casks selected for bottle are almost always stunning! We generally just receive 6 bottles of each of these vintage releases, and when they come in there is seldom a bottle left to display on the floor. Please respond to this email if you’d like to request any of these vintage releases. They are expected this coming week, or the following! We’ll be opening a bottle of each of these 9 releases and a new KWM 1993 cask at a Special Glendronach Vintages Dinner, Friday June 13, at Buchanan’s Chop House. $160 for 3 courses and 10 drams! Call 403-283-8000 to register or visit us online: https://www.kensingtonwinemarket.com/tastings/register.php. We are taking requests for all three! Note quite just in, but close enough! Lots of new whiskies and some great tastings on the way! The Spring is going to be a busy time at KWM. We have lots of great tastings coming up, so if you missed out on tickets to our Spring Single Malt Festival, which once again sold out some 2 months in advance, there are lots of other tastings with which to tantalize your taste buds! Three exclusive KWM casks are on the way, first up an unusual American oak matured Aberlour from Berry’s Own Selection. We’re then expecting a 1993 Glendronach and a 1996 Arran. But that’s just the tip of the iceberg for new whiskies, we have three very interesting older whiskies bottled under the Secret Distillery label: 40, 50 and 60 year old whiskies. The latter two of these are the best priced single malts of their age anywhere! There’s also some cool new exclusive Japanese whiskies on the way, some exciting new exclusive bottlings from Cadenheads, Silver Seal and Gordon & MacPhail as well as a Macallan 20 Year from Edition Spirits. 2. Secret Bottling Series 50 Year Single Malt – 43% – Producer’s Tasting Note: “Palate: Pleasantly thick but not too much so. Wood spice, a hint of cumin and luxurious cigar box, coffee and caramel notes with just a touch of smoke. – $999.99 – Only 1/24 bottles coming still available! Just a few details on some of the new Cadenhead exclusives we have on the way! Silver Seal is the best indepdent bottler you’ve never heard of before, and their whiskies are very well respected and highly rated. We are getting only 6 bottles of some of these! Well the news leaked a few weeks ago via Ardbeg that their bottling, Auriverdes (Latin for Green and Gold) will be the Ardbeg Day bottling this year. It is expected to land in June, and orders for it from our Twitter post have already been strong. Expected retail price to be confirmed, but it will be between $125 & 130. We are taking pre-orders! The whisky will be available for tasting at Ardbeg Day festivities in Calgary on May 31. There will be a soccer match, tasting, BBQ and lots of fun and whisky for all. Details should be out next week! Details on this 1993 vintage Macallan are still pending, but it is cask strength, dark in hue and looks very tempting at around $300. Exclusive to KWM! Thank You for Reading the Malt Messenger! If you have any whisky questions or comments concerning The Malt Messenger please contact me by e-mail, phone, or drop by the store. Glenmorangie, Scotland’s favourite malt whisky, is calling on people across the globe to make history by choosing where in the world it should launch the industry’s first “crowd-managed” single malt. From today (Thursday 27 March), members of the public can suggest any of the world’s most renowned locations to launch Taghta, which has been created through the company’s Cask Masters initiative. An expert panel will then whittle the proposed places down to three exclusive locations and everyone who has become a ‘Cask Master’ will have a chance to vote for the final destination. One fan and a companion will win the chance to attend the exclusive unveiling event, which will take place in September 2014. Launched in March 2013, the Cask Masters programme – the brainchild of Glenmorangie’s Dr Bill Lumsden, Director of Distilling & Whisky Creation – has invited members of the public to help influence every stage of bringing a new single malt to market: from the whisky itself, to its name, packaging design and photography. Each step of the process has enlisted the guidance of experts, with Jason Scott, co-founder of Edinburgh’s Bramble Bar – ranked in the world’s top 50 bars for 5 years running – leading the panel on this final stage. He will use his extensive expertise of managing high profile brand launches to review all the ideas and decide on the final three launch locations to be put to a public vote. He said: “To hand responsibility and ownership, even partially, in the development and design of a whisky launch over to the public shows a great degree of forward thinking and innovation – innovation which I believe the whisky industry has never seen before. “It shows how much Glenmorangie trusts its consumers and will no doubt excite those who may have not encountered the whisky or the brand before. The selection of the worldwide launch event is the last stage in the Cask Masters programme, with the final three locations open for voting on 5 May and the winning destination announced on 9 June. This final stage is also the last chance for whisky fans to sign up to Cask Masters, allowing them to purchase the limited edition bottling, expected to become a collector’s item, when it goes on sale later in the year. In the previous phase members of the public were asked to choose an image taken by world-renowned photographer Kevin Mackintosh which will be used extensively in the marketing of the whisky. Revealed for the first time today (Thursday 27 March) the image chosen captures the spirit of Glenmorangie Taghta and the Cask Masters programme. Kevin Mackintosh has worked on commissions for the New York Philharmonic, the Bolshoi Theatre in Moscow and more recently the Royal Opera and Royal Ballet Companies in London. He has taken portraits of global icons such as Vivienne Westwood and Christian Louboutin and collaborated with ‘Christies’ in their first Worldwide Advertising Campaign. Kevin said: “I have really enjoyed being involved in Glenmorangie’s Cask Masters programme. The variety of ideas submitted by Glenmorangie fans around the world were truly inspiring. Glenmorangie’s Dr Bill Lumsden, Director of Distilling & Whisky Creation commented: “Glenmorangie Cask Masters is a whisky programme like no other and we wanted to share our innovative approach to whisky creation by involving our fans on every step of the journey. “The response we have seen so far has been brilliant. And to show our appreciation, the limited edition range of the new whisky will be exclusively available from September 2014 to the fans that have been involved in its formation online. Glenmorangie Single Malt Scotch Whisky originates in the Scottish Highlands where, at the Glenmorangie Distillery, it is distilled in the tallest malt whisky stills in Scotland, expertly matured in the finest oak casks, and perfected by the Men of Tain. The Distillery was founded in 1843 and is renowned as a pioneer in its field uniting tradition with innovation to create ‘unnecessarily well made whiskies’. Jason Scott has an enviable talent for creating delicious drinks, channelling this passion professionally to create a successful business and admired reputation within an industry he loves. Having worked in and run some of Edinburgh’s best bars he then moved to events, consultancy and brand development, building and seeding some of the industry’s most innovative spirits. In 2006 Jason was able to realise his dream of opening his own cocktail bar, Bramble with his business partner Mike Aikman. Since then they have opened The Last Word Saloon and most recently Lucky Liquor Co – all in Edinburgh. Kevin Mackintosh was born in Africa, but left 15 years ago for the United Kingdom, (where he lives, dividing his time between New York, London and Paris). While his work expresses a personal ‘universe’ that combines an interest in European cinema, theatre and art, there is something about the largesse of his native country’s landscape and its many cultures which has left indelible marks. It is there, equally, in the broody sense of nostalgia for a glorious – real or imagined – mythology so evident in his many collaborations with The Bolshoi, Royal Opera and Royal Ballet Companies…shooting film and stills. The work was acquired by the National Portrait Gallery in London for its permanent collection. He has also completed a series on the New York Philharmonic and a collaboration with ‘Christies’ in its first Worldwide Advertising Campaign. Kevin’s work has been exhibited across the world, both in solo and group exhibitions and published in many photographic journals, and books. The Glenmorangie Company advocates responsible drinking and suggests that drinkers savour Glenmorangie whiskies in moderation and in line with recommended daily guidelines for alcohol consumption. Here at Loch Fyne Whiskies we have something for everyone – From the Sherry cask Kilchoman 2009 LFW exclusive bottling to the historic and award winning Bruichladdich Wee Ruari. We even have an unbeatable offer on a fantastic 50 year old single grain whisky which will knock your socks off! Nose: Strong vanilla with citrus fruits, caramelised brown sugar and sultanas. Palate: Sweet toffee up front with a hint of marmalade, dryness and a long peaty finish. Finish: Long and clean with rich smoke and dried fruit. Bottled at 54.8% volume. One of only 273 individually numbered bottles. No Bruichladdich Collection can be complete without this inaugural 70cl single cask bottling, truly the original one-off. One of only 376 bottles ever produced. There are literally only a handful of bottles left of this rare gem so you will have to be quick if you want to snap this one up. The beginning of an era. The end of an era. Distilled 29th May 2001 and named after the son of Mark Reynier who “filled” this cask. 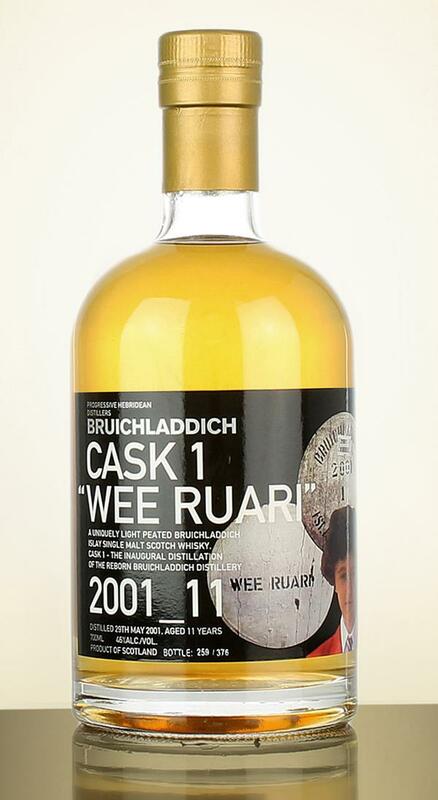 Cask 1 “Wee Ruari” is the first cask filled at Bruichladdich by the new management that revolutionised the distillery and indeed the marketing of single malt Scotch Whiskies. A uniquely lightly peated Bruichladdich which has subtle hints of soft candy and vanilla with a slight suspicion of toasted almonds. A truly wonderful Bruichladdich. 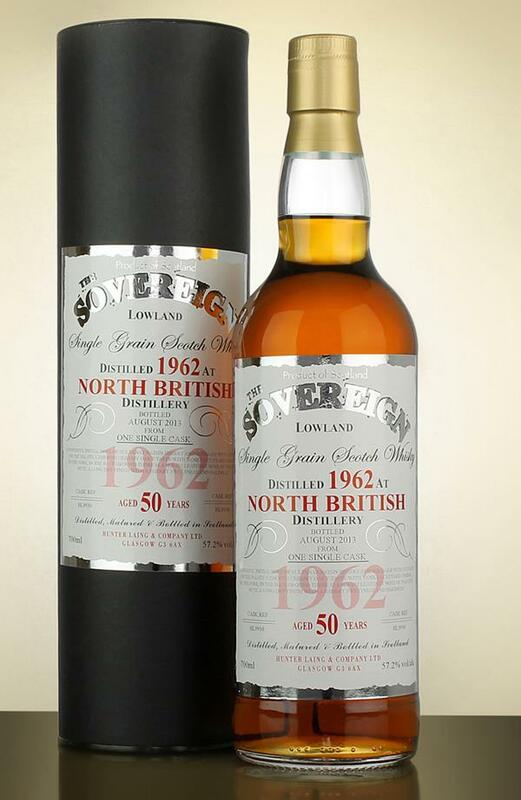 An incredible 50 year old single cask whisky for an incredible price. This one will not last long… SAVE £50 WAS £250 NOW £200. Cask number 9930. Bottled at 57.2% volume. A powerful initial nose of sultanas, raisin, sherry and rhubarb and custard. Palate: A smooth and creamy oaky taste with vanilla custard coming to the fore, in the background there is a slight leathery note of toasted nuts. Finish: A long dry finish with a sherry sweetness and oakiness. The American Distilling Institute has provided educational and networking support to its 900 + members since 2003. ADI encourages a new generation of distillers as well as provide ongoing educational opportunities to successful distillers. 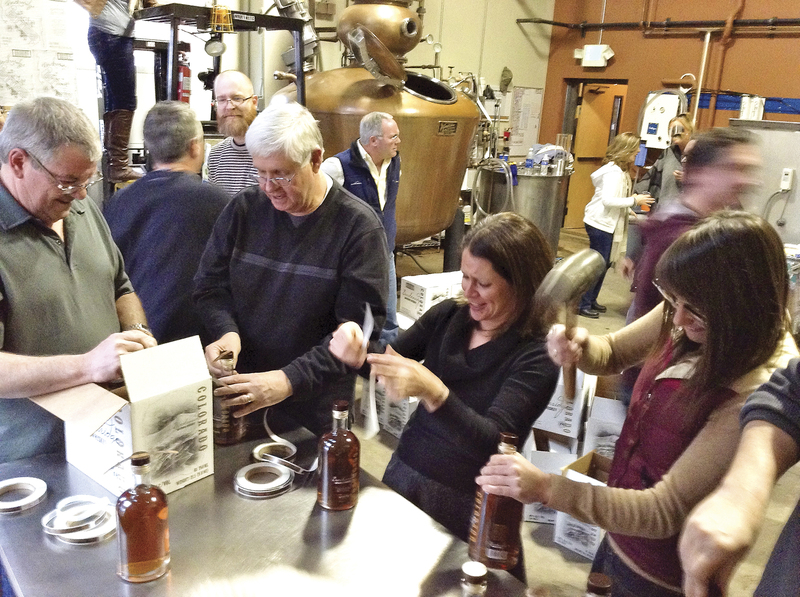 All workshops are hands-on and taught in various distilleries throughout the United States. Participants receive the benefit of one-on-one training from master distillers within a setting that provides the best equipment available. The following two workshops are being offered in June. A weeklong distillery immersion course is work-centric and includes a balance of practical demonstrations and informative lectures with one-on-one attention from our instructors. 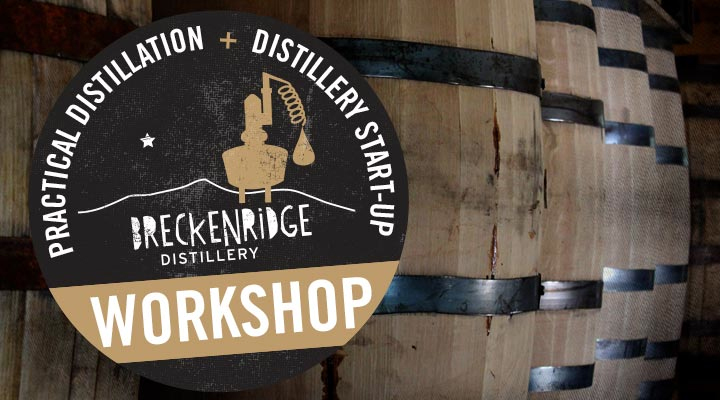 This hands-on class covers the fundamentals of grain-to-bottle whiskey production and business concerns in starting a distilled spirits plant (DSP). The Scotch Malt Whisky Society, The Vaults, 87 Giles Street, Leith EH6 6BZ Contact: sales@smws.com or call 0131 555 2929 (Mon-Fri 9am-4.45pm). Visit the Society at here for membership information This is your chance to join and to take advantage of their great offers! Come taste 30 whiskies from around the globe and celebrate World Whisky Day with Mora’s Fine Wine & Spirits at Country Corner from 6-9pm on Saturday, May 17! Ticket purchase includes sampling of 30 fine whiskies, Whisky friendly snacks, complementary Glencairn tasting glass, door prizes for lucky winners. About World Whisky Day: Now you may be thinking ‘isn’t every day a whisky day?’. Well kind of, however, World Whisky Day is about celebrating whisky/whiskey and about giving whisky global stage and global media attention for not just a day but for a considerable amount of time around this date. The purpose of this is to introduce whisky to people who have never tried it before and for those that already enjoy whisky to have something special. In 1957 Lochside Distillery was converted from an old Deuchars Brewery at Montrose by Joseph Hobbs (MacNab Distillers) and was initially fitted with one patent still and later four pots stills. The name of Joseph Hobbs is generally associated with Ben Nevis Distillery in FortWilliam but his name is also associated with many distilleries around Scotland. In 1931 Hobbs returned from Canada after losing a great deal of money in the depression of the time and commenced the buying up malt distilleries. In 1937 he bought Bruichladdich distillery on Islay from Harvey family, so ending that family’s long connection with the industry. In association with Train & McIntyre, a Glasgow firm of wine and spirit merchants owned by National Distillers of America, he purchased Glenury Royal Distillery in 1936, Glenkinchie Distillery in 1937 and North Esk Distillery (also known as Highland Esk, Montrose, Glenesk and Hillside Distillery) in 1938. The distilleries were transferred to a wholly owned subsidiary of Train & McIntyre, Associated Scottish Distillers Ltd. and Train & MacIntyre brought the Strathdee distillery, Aberdeen into the group, and added Fettercairn and Benromach in 1938. The conversion of North Esk into Montrose Grain Distillery made the group fully integrated. Hobbs re-equipped North Esk distillery to produce grain whisky and renamed it Montrose Distillery (in 1954 they sold it to the Distillers Company Limited who then transferred it to Scottish Malt Distillers in 1964 who converted it back to a malt distillery). James Deuchars were the producers of Newcastle Brown Ale and the Montrose brewery was originally built in the 1760’s and operated as a brewery until the 1950’s. James Deuchar purchased the brewery in 1833 and Charles Doig, the famous distillery architect, designed some of the newer brewery buildings in the style of breweries in Germany & Belgium. The tower, in the Bauhaus design style, housed equipment to start the brewing process and the finished beer was housed on the lowest floor. The finished beer was sold in pubs in the Tyneside markets in Newcastle. “Beeries”, the ships used to transport the beer to the Newcastle area, were loaded at the Montrose docks and this practice continued until 1956. That year Scottish & Newcastle Breweries bought Lochside and shut it down moving all operations to Edinburgh. In 1957, Joseph Hobbs through MacNab Distillers bought Lochside with an eye towards its potential to produce grain whisky and this it did until 1961. When the much larger Invergordon grain distillery was built Joseph Hobbs realized that Lochside could not effectively compete against such a large rival so he had some of the brewing equipment converted to four Pot Stills and thus Lochside produced both grain and malt whisky. Further, Hobbs had these two whiskies ‘blended at birth’ (a practice he also used at Ben Nevis Distillery) where both grain and malt whisky are married together and then put into the cask for maturation. The whisky produced at Lochside contributed to the blend, Sandy MacNab’s. The Coffey still was 67 feet tall and was mothballed in 1970 after the founder, Joseph Hobbs who died in 1964. However the mothballed Coffey still was not removed until later. Unusually the distillery had a bottling plant on site. Hobbs named his company MacNab Distilleries Ltd after John MacNab, the owner of Glenmavis Distillery at Bathgate (to the west of Edinburgh) from whom Hobbs had purchased MacNab’s brand names. From 1855 until its closure in 1910 Glenmavis used a Coffey still to make malt whisky and this unusual set up piqued Hobbs’s interest. This seems to have been the impetuous for Hobbs to install Coffey stills at Lochside and Ben Nevis. The name Lochside derives from the distillery standing beside a small loch (Mary’s Loch) which was used to provide water for production but this later dried out. The subsequent water source was an artesian well beneath the distillery supplying hard water. The risk of drawing up saline water, due to the proximity to the sea, must have been high. The site is now completely void of distillery buildings and warehouses. The Scotch Whisky Industry Record by H Charles Craig indicates a date of 1958. The Making of Scotch Whisky Moss & Hume indicates a date of 1957. I cannot place this quote from my reference library, apologies to the author! This article was originally published on the Malt Maniacs and is reprinted here with permission of the author. Glasgow, Scotland, April 7, 2014 –DEWAR’S®, the world’s most awarded blended Scotch whisky, today announced the launch of its exciting new visual identity and bottle design. This major evolution in the storied Scotch founded by John Dewar in 1846 is being supported by a global multimedia campaign rooted in the brand’s authenticity and legendary heritage to take the iconic brand into the future. Backed by a large-scale media drive across print, broadcast, outdoor, digital and social channels, the campaign focuses on the stories and experiences of those who actively pursue their dreams and embody the founding ideals of John Dewar. Having launched with great success across key European and Asian markets, the LIVE TRUE campaign will roll out across select markets during the remainder of 2014. To mark this new era, DEWAR’S World of Whisky, the visitor center situated in the brand’s spiritual home of Aberfeldy in the Scottish Highlands, will reopen to the public later in April. Visitors will be able to experience the DEWAR’S story and view unique brand artifacts and memorabilia within the distillery built by John Alexander Dewar in 1896, just a few miles from his father’s birthplace. For more information on DEWAR’S, TRUE SCOTCH SINCE 1846, LIVE TRUE and DEWAR’S World of Whisky, visit www.dewars.com. Founded in 1846 by John Dewar, DEWAR’S® has grown from a small wine and spirits merchant shop in the Highlands of Scotland, to one of the largest Scotch whisky brands in the world. Best known for its iconic DEWAR’S White Label, the best-selling blended Scotch whisky in the United States, the portfolio has expanded to comprise a portfolio of premium and super-premium whiskies, including DEWAR’S 12 Year-Old, DEWAR’S 18 Year-Old, and the exclusive DEWAR’S Signature. DEWAR’S 12 Year-Old, DEWAR’S 18 Year-Old, and DEWAR’S Signature are all crafted using the DEWAR’S double-ageing process. Pioneered by Dewar’s in 1899, it involves returning the hand-crafted blend to vintage oak casks for further maturation. 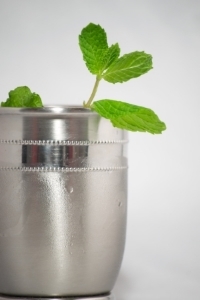 The result is a smoother taste with a long, lingering finish; an extra step that is simply worth doing. A taste that wins medals and applause everywhere, making DEWAR’S the world’s most-awarded blended Scotch whisky. The DEWAR’S brand is part of the portfolio of Bacardi Limited, headquartered in Hamilton, Bermuda. Bacardi Limited refers to the Bacardi group of companies, including Bacardi International Limited. Hi folks. The 37th auction is now live. Enjoy! For those who are selling, you can now see your lots when you sign in. Go to View My Lots In This Auction. You will also notice reserve prices are now being published. This will end the frustrating message buyers get when their bid does not reach the reserve. We hope you enjoy this feature. To enable us to email your lot numbers and auction updates, you need to check the box entitled Newsletter? This does not mean we will send you newsletters, merely that your emails will get through to you. We are also delighted to announce we will be able to step up our deliveries to the United States, thanks to a new arrangement we have with an internationally-renowned shipper. You may wish to continue using our friends at Mailboxes etc but we will now be able to offer an alternative which may prove to be more competitive. We are also now offering the option to insure your bottles during shipment. The premium will be 3% of the hammer price and will be added to your totals at check out if you select that option. You are currently browsing the WhiskyIntelligence.com blog archives for April, 2014.